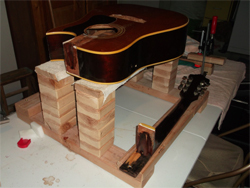 Folkstone does everything from minor to major surgery on guitars. 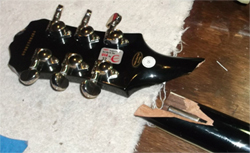 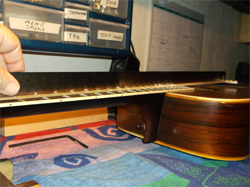 We specialize in neck resets, crack repairs, broken headstocks, broken or cracked necks, repairing dings, binding repairs, setting and re-gluing bridges, fixing stripped screw holes, fingerboard setting and re-gluing, neck alignments, and more. 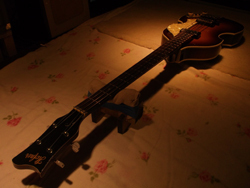 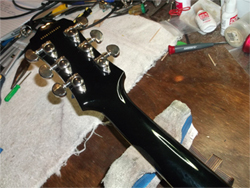 Professional services are also provided for electronic repairs on electric and plug-in acoustic guitars. 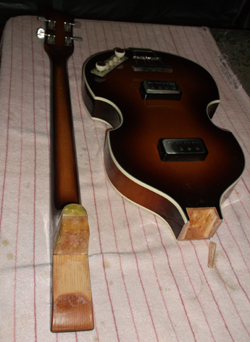 We also handle the "hard stuff" for several major music stores in the Tallahassee area. 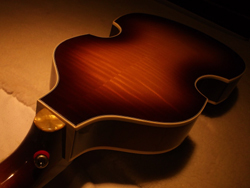 Folkstone enjoys a great relationship with all the major musical instrument retailers in our area as well as several in the surrounding region of the panhandle, Georgia, and Alabama. 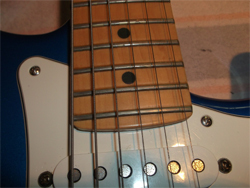 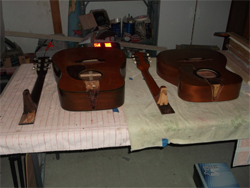 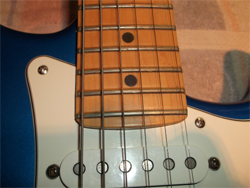 Free written estimates on all repair work is given on site when you bring in your guitar. 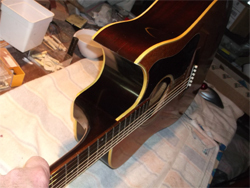 The repairs are discussed in detail and explained.